Divers and snorkelers, remember to wave the flag. Photo credit: MyFWC. Florida’s regular spiny lobster season kicks off August 6, which means a whole lot of harvesting will be occurring off our coast. Always remember: safety first. Divers, even those who wade in, should stay within 300 feet of a properly displayed divers-down warning device (red with a white diagonal stripe on a flag or buoy, for example) when in open water and within 100 feet of a properly displayed divers-down warning device if on a river, inlet or navigation channel. 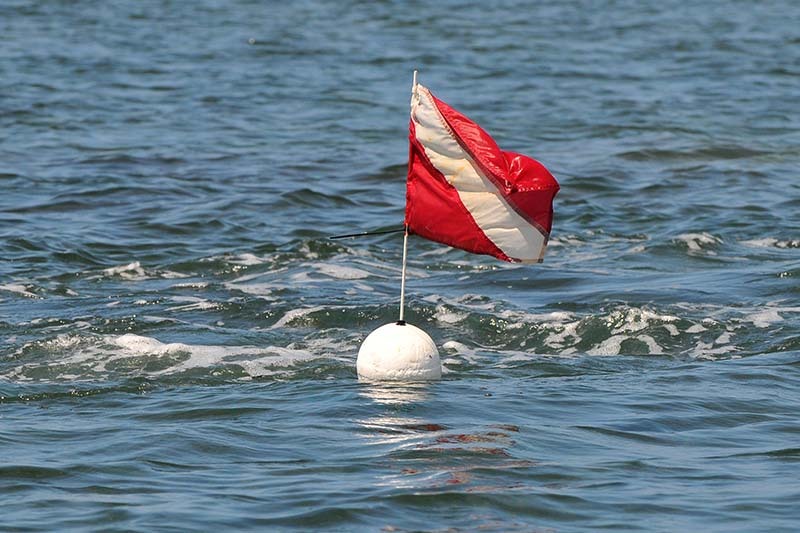 Boat operators must slow to idle speed if they need to travel within 300 feet of a divers-down warning device in open water or 100 feet of one on a river, inlet or navigational channel.